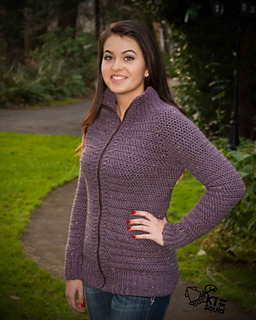 The Burnside Cardigan is constructed from the top down in one piece. The style is a bit sporty and flattering to several body types. 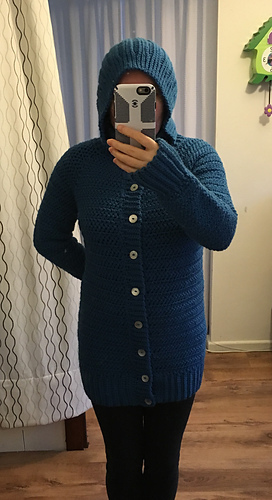 I also use a unique stitch that give the cardigan great texture. The pattern is written for sizes XS(S, M, L, 1X, 2X, 3X) to fit a bust of 28”(32”, 36”, 40”, 44”, 48”, 52”) to fit with 2” of positive ease. The model in the photos has a 36” bust and is wearing size Medium. For my sample I used Plymouth Yarns Encore Tweed. For the pattern you will need 5(5, 6, 6, 7, 8, 8) skeins of Grape Jam. I finished my sample with a zipper. I think it gives a great finished look. 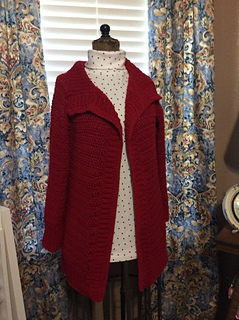 I have a tutorial on my blog showing how to sew the zipper in. 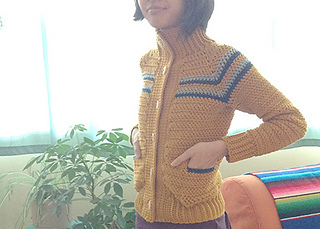 If that still intimidates you I also have an option to add buttons in the pattern.